Crowdfund Alpha release – this Fall! If we could harness excitement into electricity, the GalaCollider team would’ve been the equivalent of a lightning storm over the last couple of months! Everyone has been working at full throttle to get the game ready for you guys, and it’s shaping up very nicely. You can expect to play GalaCollider yourself this coming Fall, but in the meantime we have some updates to share with you. GalaCollider is just about ready to release as we approach the end of our Alpha development cycle. It’s been nearly two years since our first crowdfund campaign, and we’re coming back for round two. While we’ve come a long way in the last two years without funding, we’re at the point where we still need a small sum of capital to secure licenses for artwork. We’re still working on an exact date, but we’re aiming to launch this Fall, 2017. Best of all, our Alpha release will coincide with the crowdfund! This means that it will be possible to play GalaCollider while the crowdfund is ongoing. If you’ve been following our social media channels, you have likely seen some behind-the-scenes images from our design team. More emphasis is being applied to the art shown on cards by reducing the amount of text and numbers displayed. We are shifting this information to be more contextual and displayed around the cards themselves. The goal is to make the game feel more elegantly-minimal without necessarily reducing any of its intuitive usability. Having more space for art also opened us up to consider and create animated cards with special visual-audio effects! 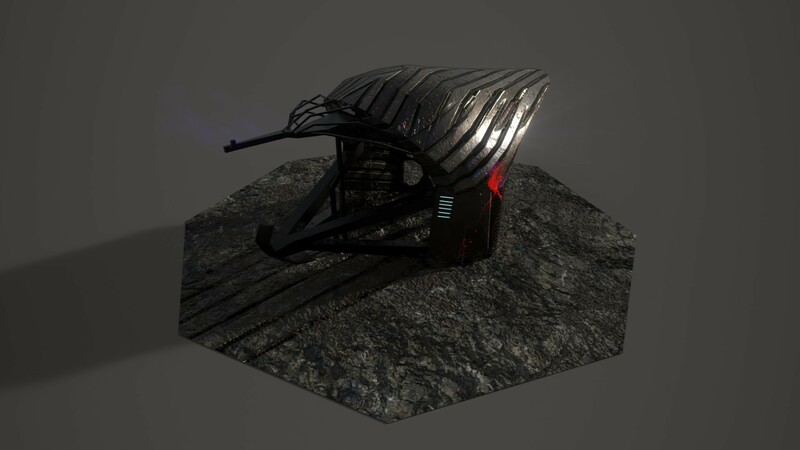 Ship cards will have 3D animated scenes, while development and operation cards will have more of a 2D animated design. Each card in our game will come to life before your eyes. You can expect all player-cards to have their own animated versions when we launch our final release. In addition to completed scenarios, tutorials and many UI improvements, we’re going to have Asynchronous Mode ready for the Alpha crowdfund release. In Asynchronous Mode, if you are playing a game without a turn timer, you will be notified as soon as all players have completed their turns, and play will continue. This is ideal for players who want to play various matches at once, or who don’t have a lot of time to dedicate to a single session. Future plans still exist to add even more game modes like co-op, survival, raids, team battles, 8 player free-for-alls and more. 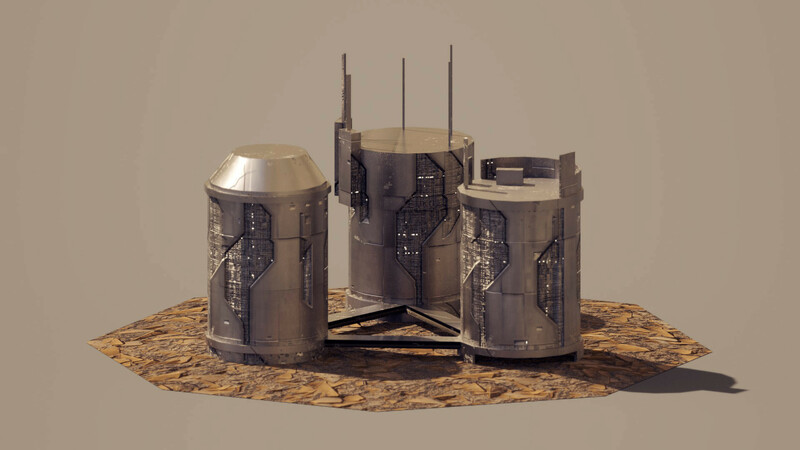 Antoine Van Lierde, our new sound sculptor, has been working on bringing extra atmosphere to GalaCollider, focusing on creating a consistent ensemble of sounds that reinforces visual feedback and the meaning of different actions, and building dynamic music for the game. Antoine is unique among sound designers in that he can also write code! We truly hope you will find GalaCollider as audibly satisfying as it will be visually. Nick Hill has joined our team as test manager with 10 years of experience. For five of those years, he worked at Blizzard Entertainment, debugging their flagships games like Starcraft II, Hearthstone and many more. We’re honored to have him with us. We were thrilled to have Jean-Michel from Abrakam, the team behind FAERIA, on our podcast. 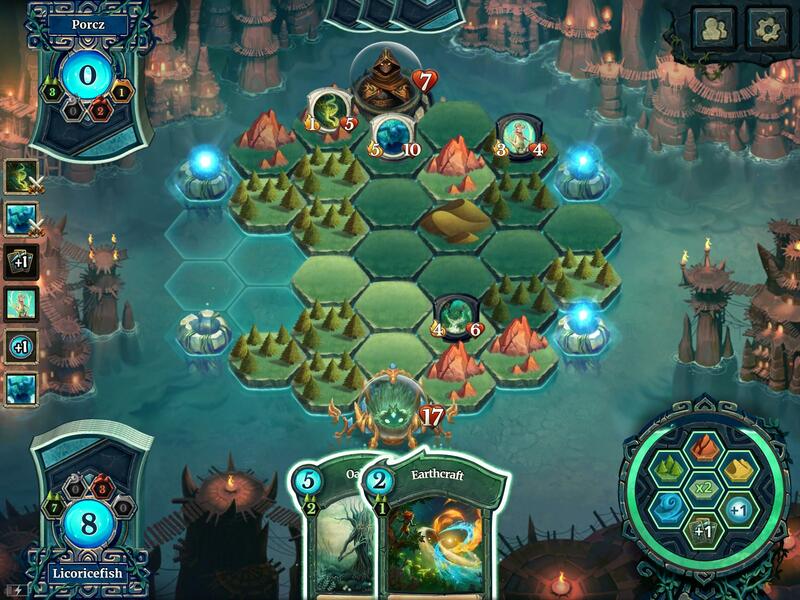 FAERIA came out in March and is a free to play “PC card battler perfected for mobile.” If you missed the podcast then be sure to check it out below. You can also subscribe to our podcast on iTunes or download past episodes from our podcast page. Here’s some great news for all of our newsletter subscribers. As an early adopter, we’re going to offer you tier upgrades on our future crowdfund. Whatever you pledge, we will bump your rewards up a notch to the next level. If you have friends who you think would enjoy GalaCollider, let them know that they should sign up to play before we launch the crowdfund in order to secure this perk for themselves. This is a project we strongly believe in and we want to bring you the best game we possibly can, but we need your help if we’re going to make it. Thanks for your interest and continued support! Have feedback? Want to talk with us? Look us up on Discord, Twitter, Facebook or shoot us an email. See you in about a month with our next update and more specific details regarding our Alpha release. Disclaimer: Some of the following information offers a sneak-peek into our monetary economy plans and is subject to change as Gala Collider continues to be developed. We’d love to know your own thoughts and suggestions! Hey everyone! It’s Scotty here to give you a brief news update and to talk about expandable cards in Gala Collider. It’s a great game, and it’s free-to-play! We also released a second artist showcase video, with music by Sam Watson! So, a little bit more on the expandable card game model we’ve been envisioning for Gala Collider. With such an increase in popularity of card games in recent years among the gaming community, the NeoCrux team saw an opportunity to try something new. We want to take a different approach to most current digital card games. By combining the foundations of 4X games with the mechanics of card games, we aim to offer players what we believe to be a unique gaming experience. Many card games have gone down the route of a collectible card game (CCG) model. While this model does create moments of excitement when opening random packs of cards, it can often create an unfair advantage to the player who spends more money on the game. CCGs are not typically available in complete sets, and some cards are usually more scarce than others, meaning that a significant amount of cards packs usually need to be purchased in order to obtain the exact cards you want. With Gala Collider, we want to level the playing field for our players. This has been achieved by using an expandable card game model (similar to what is used in Android: Netrunner and AEG’s Doomstown: Reloaded for example). Rather than open random pack after random pack, we give players the opportunity to purchase sets of cards where they know exactly what they are paying for. Individual decks can be created from these sets, meaning that players will still be able to enter battles with their own custom strategies. Each release cycle of cards will explore a different theme and showcase new mechanics, opening up fresh strategies for players to discover and master. The metagame will stay novel as strategies must evolve and adapt to the regular releases of new cards, game modes (various team, co-op, solo modes of play etc.) and maps. Needless to say, Gala Collider remains exciting while being kinder on your wallet than your average collectible card game! If you like what you’ve read, then feel free to sign up to our newsletter. We’ll update you with new developments and let you know when you can try Gala Collider for yourself! Simply leave your email address here. Hey everyone! Lots of exciting things have been happening with GalaCollider, and progress is steady! Here’s a brief update on what’s been going on with the game and with the GC team. Progress of the Save/Load feature is going well – our dev team has been pulling the impossible with this very complex feature. Combining simultaneous play with asynchronous gameplay and accounting for all scenarios is a very complex scenario to code for. This feature will be hands-down the most complex code component in the game to date; but the pay off should be substantial since it will let anyone play anyone they want and just get notified when their turn is ready by email or notification. Our creative writing team is now 3 people and they completed renaming all the cards to match all the background lore they’ve written. They’ve also been working out all the details of the future factions the game doesn’t have yet… but eventually will. We needed to figure this all out so we know where the story’s main arc will go, plus it’s important for gameplay design. The creative writers’ next objective is to lay down the framework for the first expansion cycle. So this includes key characters, their appearance, stories and how we plan to connect this to card releases and future mechanics. In other news, we’ve been making headway on the in-game deck builder, scheduled for completion with our Beta-1 release. We have some great new redesigns for our website and mobile platform that will be coming soon, and we’re making progress on the online and in-game store(s)! Furthermore, we’ve been working to proofread and validate all of the card text and in-game text and tutorials. We take card text clarity seriously. Even though this is a digital game, it should be clear from reading a card what it does. Our QA team has been hard at work squashing bugs, and has expanded to roughly a dozen people! However, we can always do with more testers, check out our careers page and/or the QA tester page to find out more. So things are progressing smoothly here with GalaCollider. We can’t wait to finish up the Alpha 5 build, and get the game into your hands! Don’t forget to sign up for our newsletter to be the first to hear about the Open Alpha launch this summer. Much has happened over the course of 2016, and we’re getting ever closer to the Beta version of the game. Furthermore we’ve enhanced the gameplay by giving all cards intrinsic value when discarded, and reduced deck sizes across the board to augment the importance of the tech pool. We’ve also made significant progress on some key features which will allow us to gear up for the Beta, such as the “play by mail” asynchronous play mode which allows players to take their turn anytime they want. Other big features that are getting close to being finished are the in-game deck-builder, the in-game store, and the Save/Load system that will allow you to pause games and return to them at a later date. Next year is the year! We’re excited to keep building this game and to get it out to all of you. Please stay tuned for updates in 2017 surrounding a buildup to a future crowdfunding campaign in combination with our Open Alpha/Beta release. We’ve been working long and hard on getting this game finished but we need your help and support to make it ultimately successful. You can help us by getting your friends to sign up for our newsletter, follow and reach out to us on social media, and help spread the word! If you haven’t yet, you can follow us on Facebook, Twitter, Reddit, YouTube, and catch live-streams of the game on our Twitch channel! You can follow our monthly podcast, the GalaCast, on our website or on iTunes. If you feel like chatting with us directly, come check out our Discord channel. Thank you for interest and your support! We’re thrilled to have you with us as we continue to build what we believe can be a great game and community. Less than a week and we will be at MagFest! We’ve been working around the clock on code, design and booth preparations and were pretty happy with where things are landing. There is still a ton more to do, but the game is fully playable and will look pretty nice on our Kiosk stands we bought to showcase the game. We’ve also got nice black floor tiling, and new roll up banners that should arrive [fingers crossed] today on Friday to liven up our area visually. We were hoping to have both Android and iPads on display to go with our Mac and Windows laptops but sadly the Androids didn’t get here in time to demo the game. That said we should have 7 devices with us, 2 for playing tutorial missions, 4 for playing full games and 1 for showing off an image gallery and collecting visitor email addresses. Turns out we will also be getting some cool chairs sponsored by Yogibo including a mini and an ipad case to go with it. The buttons for information were also moved to the sides of the cards and enlarged to make them easier to tap on tablet devices. Below the “I” button you can now see buttons like the blue icon for colonize, or the red cross hair for setting a target in battle. this will have to wait now until after MagFest since we need at least 5 days now of stability testing to make sure there are zero bugs remaining. We’ve got single player tutorials in the game now! Seven so far, these are set up like puzzles with tips to get you started. Completing all 7 of them should give you a pretty good basic understanding of the game so that you are then ready to play vs. another player. We plan on making at least another dozen puzzles as time goes on that will increase in difficultly while simultaneously showing off the more refined level of thinking you can achieve in the game. Our AI opponent logically fights, invades and brutalizes you on these puzzles but they are all set up to last a maximum of 1 to 2 turns. So they are intentionally short and very focused, think chess puzzles you might find in a news paper. Since we last spoke we’ve also had an interview on eXplorminate and a live game stream-interview with Space Game Junky. Plus on our own Podcast we also had a quicker recap of last months progress too. After Ma gFest our next big milestone is the big public Alpha test event we want to schedule for mid March. This is going to be your chance to play the game in what hopefully should be an active weekend with a full lobby of players. You’ll be able to play the game as a single-player vs. the computer to learn the basics and then online vs. other players and us on Twitch streaming live if you want to play us or ask us questions. So please sign up to our Alpha event to let us know you are interested and tell your friends! Everyone can join in, we want it to be extra fun. Yes we have new cards we could show you! But I’m out of time for today, so I’ll leave that update till next time. Until then don’t forget to also jump on our twitter and subscribe to our twitch if you want to catch us in the act of playing and jump in for a game.